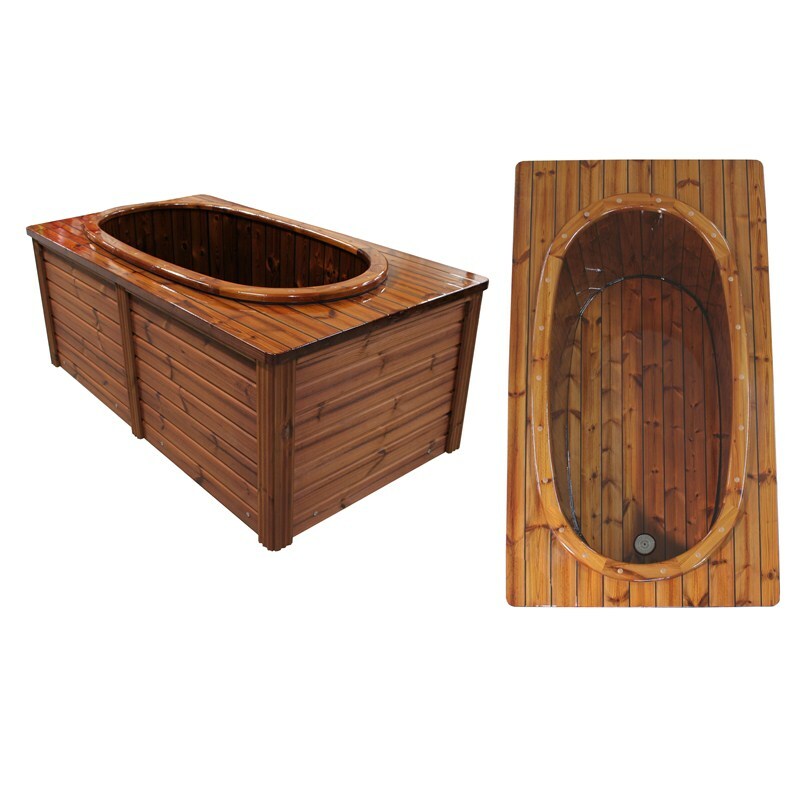 Oval hot tub with coated inner surface. Filled with water from, for instance a garden hose. Outer measurements: length 160cm, width 88cm, height (inner) 53cm. Made from heat treated pine (LunaWood).